24 photos of this DMU gala. 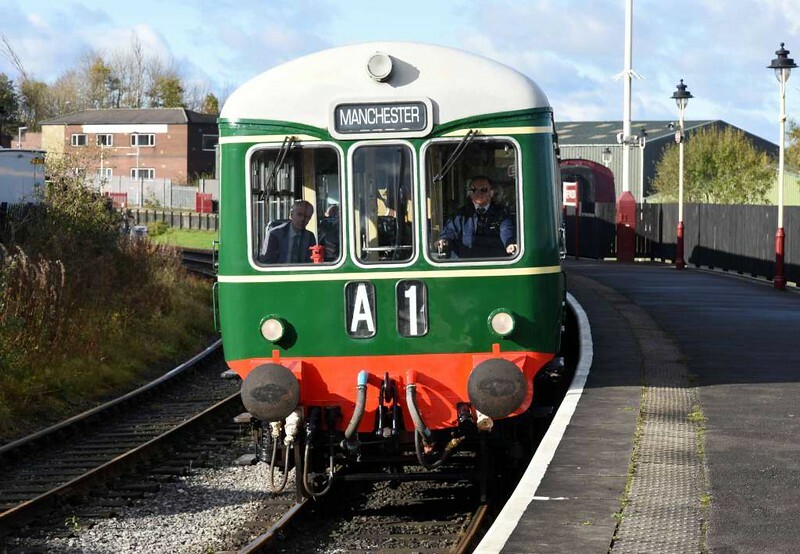 Class 109 & 104 DMUs, 2J54, Heywood, Sun 5 November 2017 - 1131. The Wickham & Birmingham RCW DMUs arrive with the 1035 from Rawtenstall.